Imperial California Queen Headboard. An excellent value for your Mexican bedroom. This headboard is simple, elegant and oh so versatile. It can be transformed depending on the stain and finish you choose. We recommend pairing it with some of our Cottage series bedroom pieces for a unique combination. 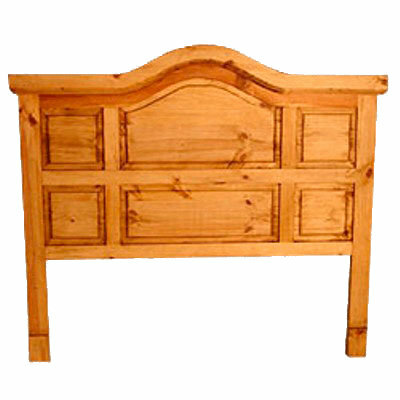 If you want us to add a Cottage series finish to this headboard to match a vanity and/or Cottage Night stand, please choose the "Chocolate" upgraded finish and let us know the Cottage Series color in your Shopping Cart notes.